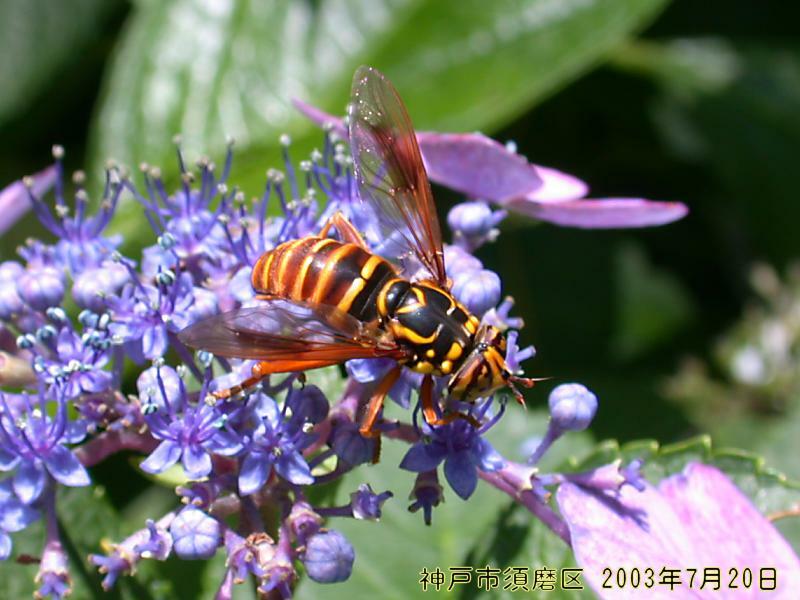 This is a female syrphid in the genus Spilomyia! 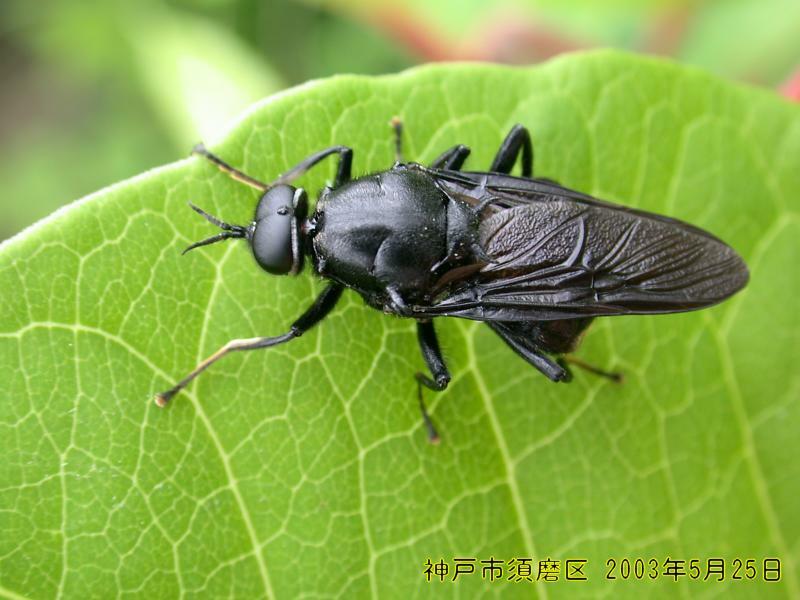 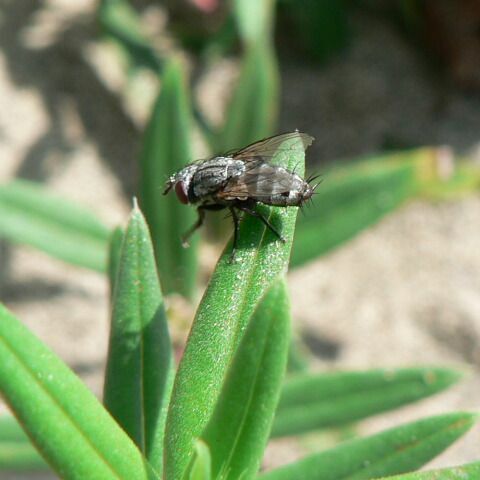 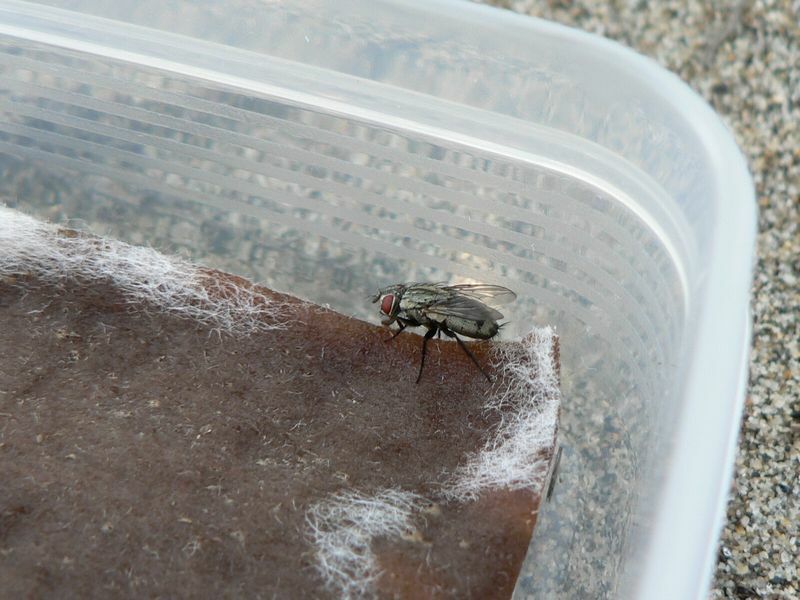 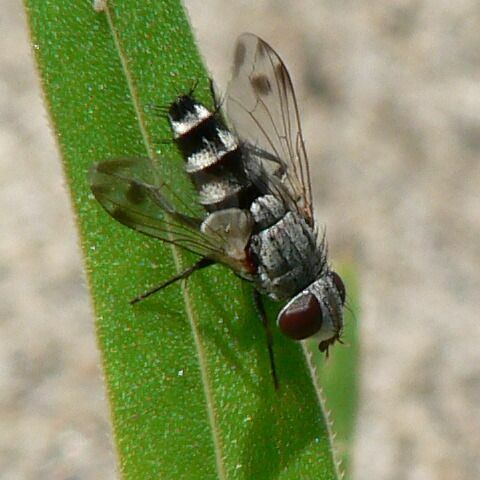 The black fly is a member of the family Stratiomyidae! 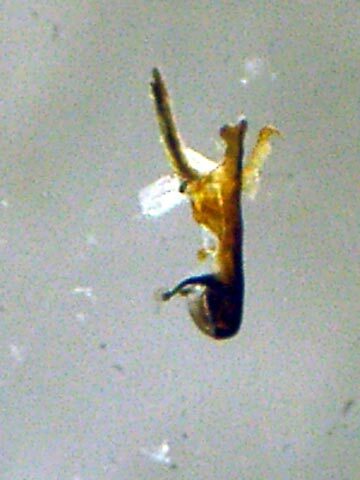 ハラビロミズアブ Clitellaria obtusa, a myrmecophylic Stratiomyidae.